Sudoku game. Three episodes with 100 Sudoku levels each. But you are not alone - this Sudoku game fights back. You need to be smarter and faster! Fortunately you have a few unconventional tricks up your sleeve...bombs! 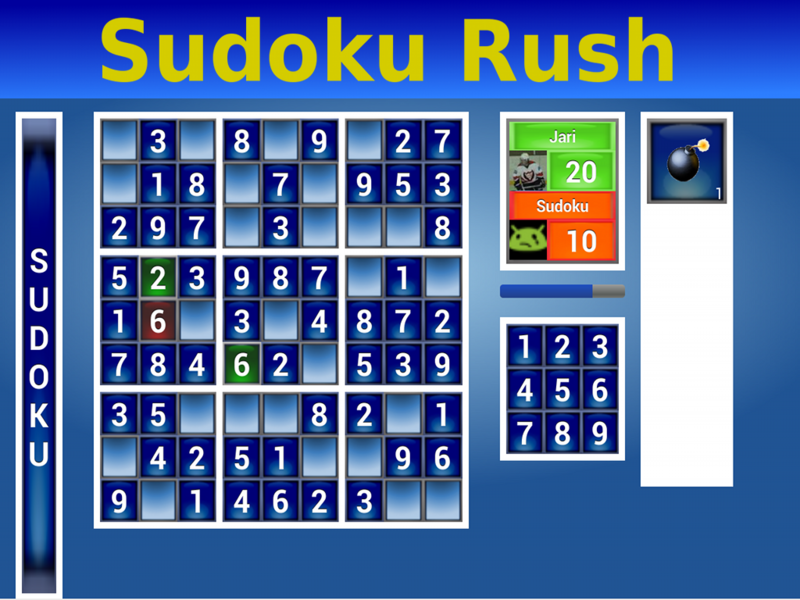 Drag and drop numbers or bombs on an empty square on the grid - just like standard Sudoku. Different bombs unlock when you advance in Sudoku levels.